The Man Who Killed the Man Who Killed Billy the Kid Will the real Wayne Brazel please stand up? Shown between cowboy pards Jim Lee and Will Craven, Wayne Brazel would become famous for confessing to killing Pat Garrett. Yet he never paid for his crime. Should he have? Despite Brazel’s confession, we still do not know, 110 years later, who killed the man responsible for ending the life of Billy the Kid. 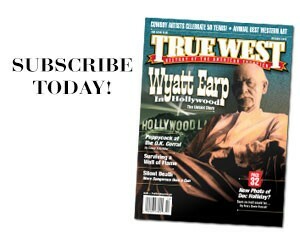 To date, at least 10 books and dozens of articles have been published examining Sheriff Pat F. Garrett, not to mention Sam Peckinpah’s classic 1973 film Pat Garrett and Billy the Kid, yet his murder remains one of the Southwest’s most intriguing and enduring cold cases because few historians believe Brazel was capable of violence. But what if they are wrong? Pat Garrett (above) killed escaped convict Billy the Kid in 1881…and then, nearly 30 years later, found himself on the wrong end of the gun. When Brazel admitted to killing Garrett on a lonely stretch of road just east of Las Cruces, New Mexico Territory, in 1908, he claimed he shot in self-defense during a property dispute. Eyewitness Carl Adamson backed up Brazel’s version of events. Adamson told officials Brazel waited until Garrett threatened him with: “You, I’ll put you out right now,” and he did not draw his own gun until Garrett had drawn his first. Evidence at the crime scene, however, contradicted their testimony. Doña Ana County officials determined that Garrett was probably not holding his shotgun when he was felled—surprising for a man who was always courting danger—and that he had been first hit in the back of the head and almost simultaneously in the stomach while he was urinating on the side of the road, making self-defense an unlikely explanation. Brazel was a cowboy for one of the largest spreads in the Tularosa Basin, William Webb Cox’s San Augustine Springs Ranch. When Cox hired an expensive attorney, Albert Bacon Fall, to defend his hired hand, stories quickly surfaced that Brazel had been a pawn in a larger conspiracy, asked to take the blame for someone else. After a one-day trial, on April 19, 1909, during which attorneys on both sides provided little evidence or testimony, a jury found Brazel not guilty of murder. He walked away a free man. That’s when wild speculation began over who had murdered Garrett. 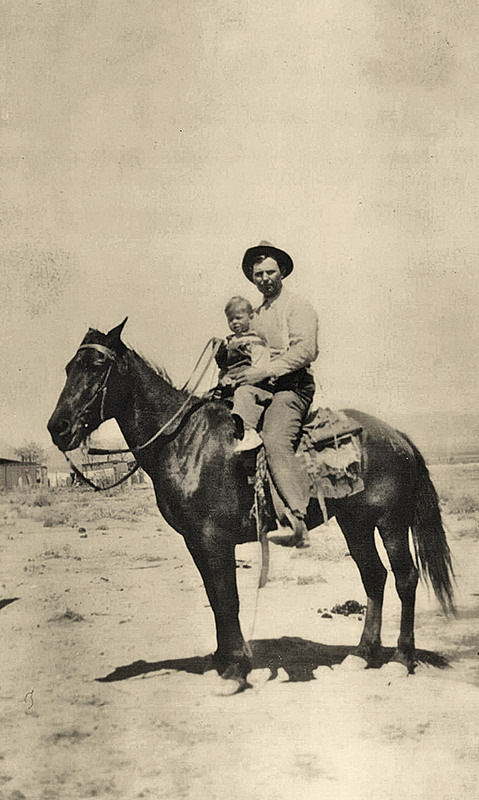 Elmer “Arch” Lyall, the deputy sheriff who lived in Doubtful Canyon and confronted the Powers with James W. Gould and Wayne Brazel, rides on horseback carrying his roughly four-year-old son Clarence in this circa 1920 photograph. From the day he achieved fame for killing the Kid until his own death 26 years later, Garrett made numerous enemies. He drank and gambled excessively, was drawn into arguments easily and borrowed money from powerful people he could not always repay. Despite his negative qualities, Garrett remained a feared lawman whom politicians often called on to investigate high-profile murders in southern New Mexico Territory. At the time of his death, Garrett was apparently about to bring charges against local ranchers for rustling and perhaps even for the murders of politician Albert Fountain and his eight-year-old son Henry. Some researchers have suggested Garrett was slain before he could arrest prominent citizens. 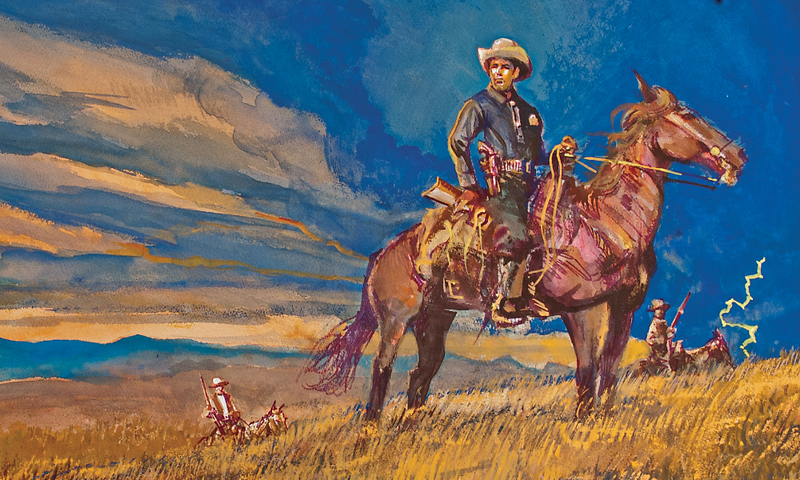 Most historians argue the lowly cowboy Brazel lacked the ability with a firearm to get the upper hand against one of the Southwest’s most accomplished lawmen. Interviews with family and friends revealed Brazel as incapable of murdering anyone in cold blood. Historians have shifted the blame to others, creating a long list of possible suspects, including gun-for-hire James P. “Killin’ Jim” Miller, Brazel’s boss Bill Cox and A.P. Rhodes, Brazel’s partner in the disputed property. These historians have also provided us with a large assortment of theories to explain what happened, including suggesting a secret meeting to plan the assassination took place in a hotel in El Paso, Texas. But what if Brazel wasn’t the choir boy everyone thought he was? 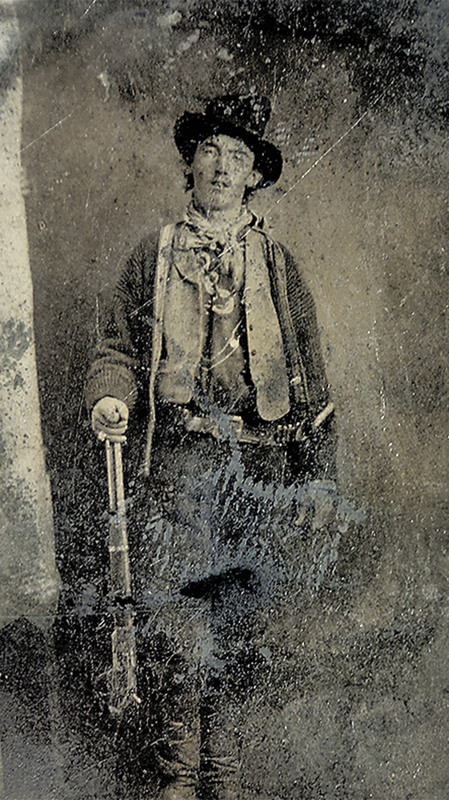 Billy the Kid is such an icon that collector William Koch paid $2.3 million for the only authenticated photograph of the Kid (above) at Brian Lebel’s Old West Auction in 2011. While researching the Power shoot-out for the documentary film Power’s War and for my book on Arizona’s deadliest gunfight, I stumbled upon a Cochise County legal case in the Arizona State Archives involving the Power family and Brazel. Brazel was not listed by name as a plaintiff in the case of “C.S. and M.J. Power v. J.W. Gould et al” filed on August 26, 1910, so I could see how other researchers overlooked this case, but the court proceedings reveal a side of Brazel not seen in previously published works. Shortly after his acquittal for the murder of Garrett, Brazel began to accumulate grazing land for a cattle operation at the base of Steins Peak in Doubtful Canyon, located near the border between present-day Hidalgo County in New Mexico and Cochise County in Arizona. When Brazel moved to Doubtful Canyon in 1910, the area remained sparsely populated by ranchers because of the limited water supply. Brazel’s partner in the venture was rancher and saloon proprietor James W. Gould, a long-time resident of Lordsburg, New Mexico Territory, who had testified at the 1899 trial for Henry Fountain’s murder. The previous owners of the land, the Power family—which included matriarch Jane Power, her widower son Jeff and four grandchildren between the ages of 16 and 21—remained in Doubtful Canyon, staking a new claim and submitting a homestead application for land nearby. Evidently, the Power family’s continued presence on the land somehow threatened Brazel and Gould’s plans. Gould filed charges against Jeff Power, claiming he had sold the Doubtful Mine under false pretenses and failed to vacate the premises. A jury in Grant County district court quickly cleared Jeff of wrongdoing. Gould decided to take matters into his own hands. He, his new business partner Brazel and local rancher and Deputy Sheriff Elmer Archer Lyall traveled to the Power property in Doubtful Canyon in July 1910 to remove the problematic family. The three held no warrants or eviction notice—the Powers had filed all the proper paperwork for their Doubtful property—so Lyall was not there in an official capacity as deputy, but rather as a hired gunman. The trio entered the ranch house heavily armed and threatened to kill the entire family, including Jane, who was 66, and her 16-year-old granddaughter Ola May. Unlike Brazel’s deadly encounter with Garrett two years prior, gunfire was not exchanged. The Powers cooperated, gathering up their personal belongings and leaving. They chose to fight their assailants in court instead. The Powers filed a lawsuit against Brazel, Gould and Lyall, charging them with forcible entry and detainer. 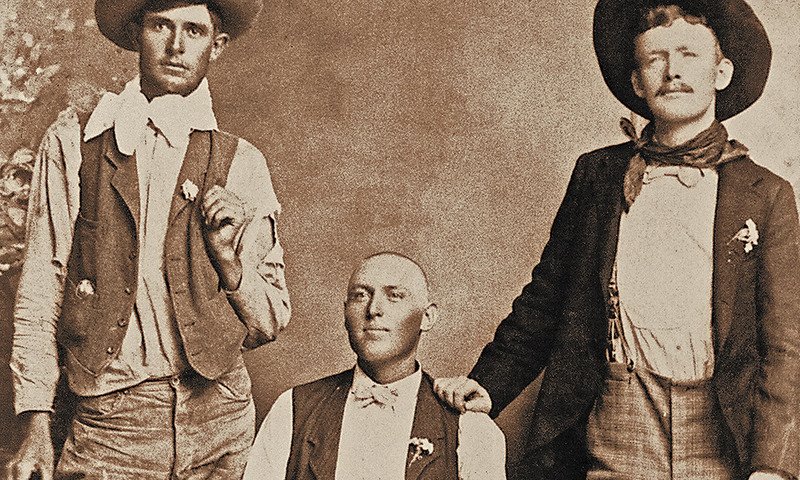 In the fall of 1910, Gould, Brazel and Lyall were summoned to the Bowie justice court in Cochise County, where a judge found the three men guilty and awarded the Powers $500 in damages plus court costs. The case was appealed. Once again, a high-powered attorney, this time Allen R. English of Tombstone, was hired for Brazel’s defense team. The court overruled the initial judgment—not the first time Brazel had avoided conviction with the help of first-rate legal talent. After the incident, the Power family left Doubtful Canyon and never spoke of their encounter with Brazel, evidently fearing repercussions from him or his powerful associates. They would find themselves in new difficulties eight years later, when a posse surrounded their mining cabin in the Galiuro Mountains. In the ensuing gunfight, Jeff Power, the Graham County sheriff and two deputies were killed. 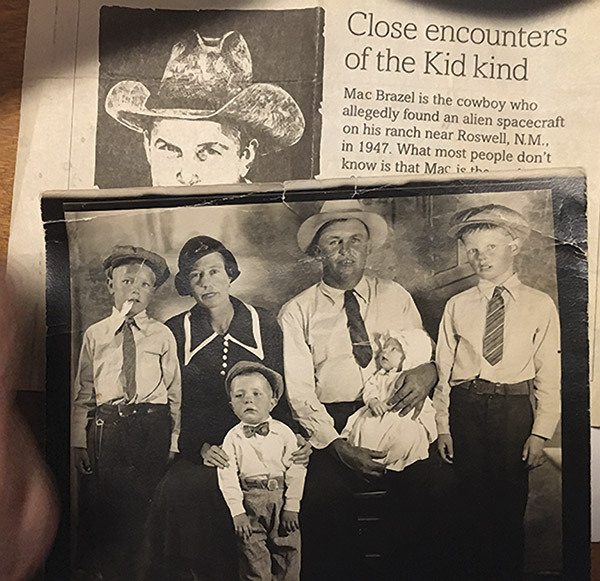 After reading Bob Boze Bell’s True West Moments in The Arizona Republic about rancher “Mac” Brazel who found the alleged alien spacecraft near Roswell, New Mexico, in 1947 (known today as the “Roswell Incident”), Emalee Brazell contacted Bell to report that Mac (shown far right, in a Brazell family photo from the 1920s) was related to Wayne Brazel. Brazel’s fate is less certain. At the time of the court proceedings with the Power family, he married Olive Boyd in September 1910, a union which produced a baby boy. When Olive died a few months after giving birth, Brazel left his son to be raised by his in-laws in El Paso, Texas, moved to Ash Fork, Arizona, and then vanished, raising even more questions about him and his role in Garrett’s death. I don’t know how many other public records, like the coroner’s report or the court proceedings in Cochise County, are out there that might one day shine a spotlight on the real Brazel, allowing us to determine if he should be on the top, rather than the bottom, of any list of suspects. I’m sure researchers must endure many more hours of breathing dust in musty archives before we’ll ever solve the mystery of Garrett’s killing. A woman who claims relation to the alleged killer of Pat Garrett read one of my True West Moments in The Arizona Republic. She offered to tell me what happened to Wayne. I met with 82-year-old Emalee Brazell Price and two of her friends at a Texas Roadhouse restaurant on February 27, 2017. Emalee told me Wayne had died in 1936 of typhoid. He was working on a Civilian Conservation Corps project (one of the “CCC Boys,” as they were called) at the time of his passing. His body is buried in Barton Cemetery, near Edgewood, New Mexico. If true, this fills in a major gap in our knowledge of what happened to the man who allegedly killed the man who killed Billy the Kid. She also told me that Wayne spent time in a Yuma prison in Arizona Territory, possibly because of the Garrett killing. This seems odd since he was acquitted in New Mexico Territory and the charges probably wouldn’t have carried over to Arizona Territory, but that is the family story. Emalee spells her family name “Brazell,” rhymes with “razzle,” and she is unsure where the Brazel spelling, with only one L, came from. Perhaps a misspelled court document? Historian Lauren Kormylo (one of our True West Maniacs) investigated the family’s story about the name. She says Wayne is in the 1910 Census, spelled with one “L” for Brazel. The census reports show he could read and write. All of the news sources of the day also spelled his name with one “L,” and the 1880 Census shows his parents’ name with the same spelling. As far as the grave goes, Kormylo has not been to the cemetery in person, but according to the “Find a Grave” website, the cemetery is home to five Brazell graves, but Wayne Brazell is not among them. Billy the Kid author Mark Lee Gardner thoroughly examined the burial records of the Edgewood cemetery and found no trace of our guy. Even more, Bill claimed that Wayne had an earlier encounter with Garrett, when the lawman led a posse to the Brazel ranch, perhaps around July 1898, when the posse was chasing Bill McNew, Oliver M. Lee and Jim Gililland. Garrett wanted the posse to spend the night at the Brazel ranch, but Bill’s grandmother, wielding a Winchester, chased him off her property. Family lore can be a sticky wicket for researchers to navigate. Looks like historians still have more digging to do to solve the mystery of Wayne Brazel’s final years. Heidi J. Osselaer earned her Ph.D. in history at Arizona State University. This article is adapted from a paper she presented at the 2017 Arizona-New Mexico History Convention and from her most recent book, Arizona’s Deadliest Gunfight: Draft Resistance and Tragedy at the Power Cabin, 1918, published this May by University of Oklahoma Press. 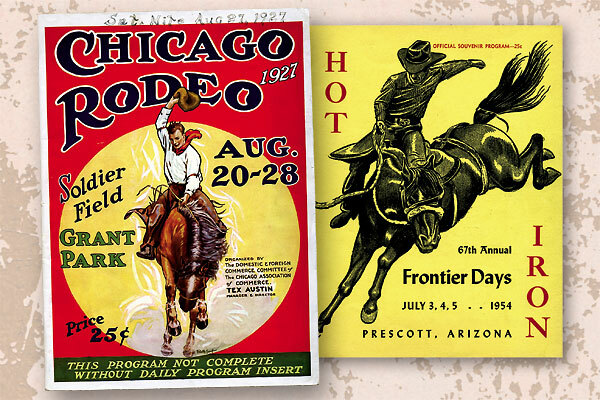 Priceless Rodeo Programs From the collection of Charlie Carpenter.